I have been so busy this week that I forgot that the US Swim Trials have been on! We’ve been finishing up swim lessons this past week along with Vacation Bible School so we haven’t had a chance to sit down and watch them. I wanted to let you know the remainder of the schedule, though, so you can catch some and cheer our team on! Speaking of finishing our swim lessons: Buddy passed his level test and is moving on to the next level. He’s actually allowed to go into the diving pool now. GULP! Monkey and Little Man didn’t pass. Little Man was so super close that they said if we take another session he could actually progress in the middle of the session. His problem was that he was afraid of the deep water, which the other day he was playing in the outside pool in the same depth he was scared of in the inside pool. I think he can do it. Monkey needs to work on her floats and kicks before she can pass. I’m so proud of all of them! I saw monkey swim across the pool all by herself. Buddy is so confident that he spends half his time under the water now, trying to do handstands and sitting on the bottom. He’s definitely his mommy’s boy! I’m so, so proud of Little Man, though. The first day of swim lessons he didn’t even want to get into the water and by Thursday he was so confident that he was all over the outside beach entry pool by himself. (I obviously still kept an eye on him.) It was such a relief to not have to fight with him to get him into the water. I definitely recommend swim lessons. The confidence is so worth it. It’s also so nice to not drag along swim vests every time we go to the pool! Maybe one of my munchkins will be a swimming US Olympian! Help me and my family cheer on our US Olympic hopefuls the next two days! Note: I received compensation for this program through The Motherhood, but all opinions are my own. 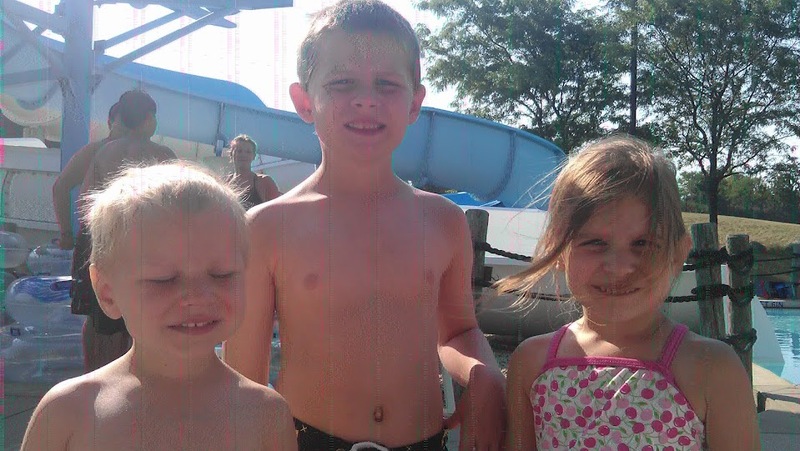 Ohmygoodness your kids are do darn cute! I need to get mine in lessons. The Olympic trials have been really cool!! !